Calling All Foodies – Saint Lucia is the place to be this Weekend! This weekend, we prepare for what is said to be a Foodie’s Dream as the Saint Lucia Tourism Authority will host the revamped Saint Lucia Food and Rum Festival under the newly branded Soleil Festival. This year will be an amazing experience as Award-winning Television- Personality and Restaurateur, Chef Marcus Samuelsson of Red Rooster Harlem, New york, will be featured. The Festival begins on the 12th of January and ends in grand Style on the 14th of January 2018 with a Celebrity Dinner by Chef Marcus. He will be ‘Putting the cherry on the sundae’ with his Special menu from President Obama’s first State Dinner with a Saint Lucian Fusion. 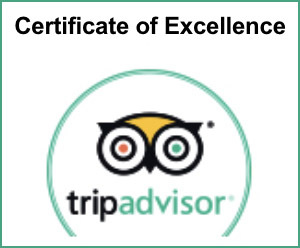 In addition, The Caribbean Journal, the world’s largest site covering the Caribbean, has collaborated with the tourism authority to stage the seventh edition of the Caribbean Rum Awards. This year, the Rum Journal team tasted almost 200 rums from around the Caribbean (and the world) and chose the ones that we loved the most — the ones that are the most interesting, the ones that embody the spirit best, including the Rum of the Year. 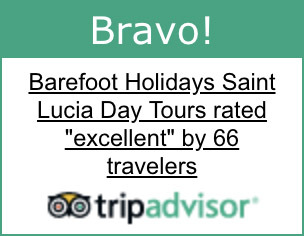 So, what to expect from the Saint Lucia food and rum Festival? Friday, the 12th, be sure to taste creative-rum inspired menus in the Fishing Village of Anse La Raye while you dance all night long to Caribbean music. Saturday, the 13th, Rodney Bay will be transformed into ‘Everything Foodie and Rum-infused’. 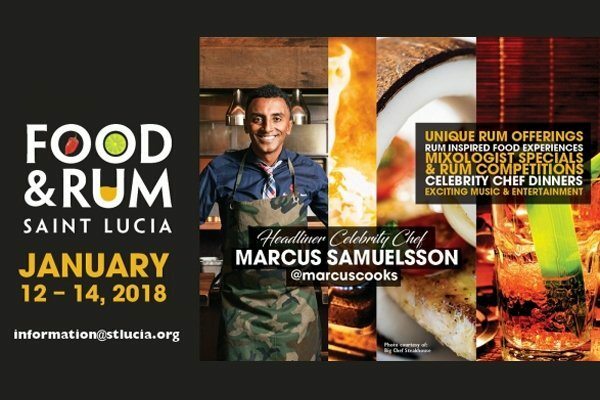 A team of Saint Lucian Chefs will join Chef Marcus Samuelsson for a Celebrity Dinner at Coco Palm with live music and Cocktails. Sunday, the 14th, the finale will take place at Pigeon Island National Landmark. This event will feature not only Restaurateurs, Rum Distillery and Chefs, but also Teddyson John and international sensation, Freddie Jackson for a live Concert. A Weekend of Food and Rum awaits! 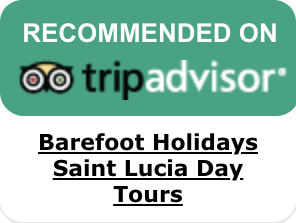 For More information see the Saint Lucia Food and Rum Festival schedule.